In order to keep up with the ever-increasing and changing needs of the digital world, organizations do need an innovative talent platform. Artificial Intelligence (AI) and Machine Learning (ML) are transforming the way all platforms across the world function, and there is no reason why the same must not be employed to improve the efficiency of Human Resource Management (HRM). 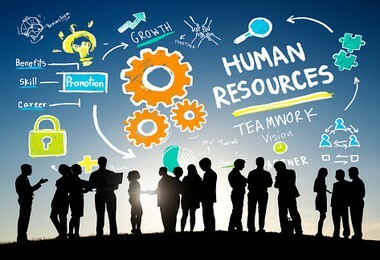 Applying AI and ML to human resource management not only reduces the time and cost required to hire, but also improves the quality of hiring. Eightfold.ai’s Talent Intelligence Platform (TIP) aims to solve the fundamental problems regarding hiring using AI and machine learning, hence addressing productivity loss due to open/unfilled positions, wrong hires and employee attrition. Eightfold.ai apparently creates a comprehensive talent network unique to an organization by aggregating all internal and external data for an enterprise – from applicants to alumni – which is currently siloed across many different solutions. The talent acquisition platform has scoured several profiles to build a ‘Talent Graph’ that allows them to accurately match and predict what’s next for an individual, says Dave Ghosh, VP, Channel Sales and Country Head of Eightfold.ai. When a customer comes on board, the system learns what profile/background/skills of candidates are usually hired by the organization, and how well they perform in this organization. Every transaction or action between the organization and a candidate is assimilated by the underlying Talent Intelligence Platform enabling unique recommendations to the organization. Unique insights and course corrections specific to an organization is provided by the platform to the CEOs so that they can accelerate their path to become a more diverse and productive organization. Along with helping enterprises with talent acquisition, Eightfold also focuses on talent management – improving enterprises’ ability to retain their existing talent – via better employee engagement, career planning, up-skilling and other capabilities that ensure employees find better opportunities inside – well before having to look outside, says Mr Ghosh. The company also believes in personalizing job descriptions for every candidate, therefore eliminating the need for using guesswork while applying for a job. The company is also open to collaborating with existing platforms like Naukri and Shine to transform how candidates and enterprises approach each other. Rather than being equal partners in business, HR loses efficiency while expending time on finding, filtering and researching candidates manually, which is a debilitated and error prone system. Eightfold’s Talent Intelligence Platform completely automates this process helping HR calibrate the open job positions to be more accurate, complete and targeted, hence saving a lot of time. Although AI enables best decision making with all the available data, role of humans in hiring will always be imperative. “Look at it this way. On an average a person will work for 35-40 years. In that time-frame they will have 10-15 different jobs – sometimes less, sometimes more. Don’t you want each of these to be meaningful as possible to your career progression, experience gained, achievements, personal and professional growth? So, whenever you change a role, whether inside your current company or outside, find the best possible job that matches your capabilities and aspirations,” says Mr Ghosh while outlining the importance of AI in HRM. Eightfold and its Talent Intelligence Platform was founded nearly a year and a half ago two ex-IIT, Google and Facebook alumni members Ashutosh Garg and Varun Kacholia. They have over 6000+ research citations and 80+ search and personalization patents, and have also been instrumental in building the Google Search and Facebook recommendation engines. The company claims that they have already secured $24M in VC Funding (Lightspeed Ventures and Foundation Capital) and has processed over 20 million applications to-date. Using Artificial Intelligence and Machine Learning to Aid Efficient Hiring in India 1 out of 5 based on 1 ratings. 1 user reviews.